To travel to India you are likely to need an Indian Visa – you certainly need one if travelling from the UK. The good news is that as of August 2015 British citizens holidaying in India can now apply online for an e-tourist visa instead of applying by post or visiting an application centre via vfs global . Actually I rather enjoyed my visit to the application centre in London – not least because there is a great Indian supermarket on its doorstep. The older visa is attached in your passport where as the new e-tourist visa is e-mailed to you to be printed off and carried with you. 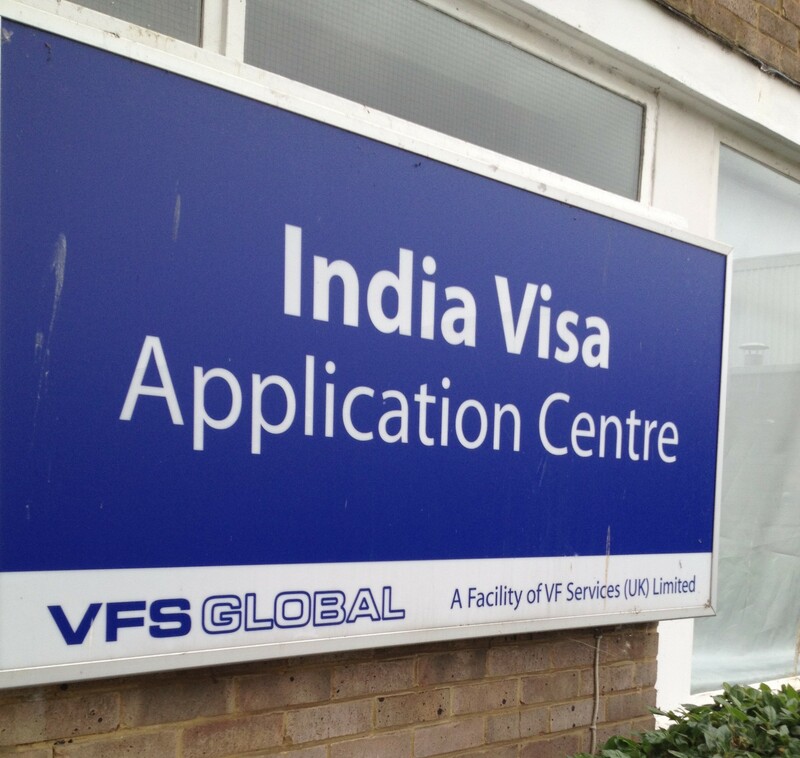 There are 2 tourist visas via vfs-global – a one year visa £109.44 or a 5 year visa £309.44. You can leave and enter as many times as you like but each stay must not exceed 180 days. To help you decide which visa process to chose from as a word of caution read my blog post INDIAN E-TOURIST VISA BIOMETRICS PROBLEMS . The e-tourist visa shows up on my bank statement as £49.37 and an additional 99p non-sterling transaction fee – this is for a single entry to India and is valid for only 30 days from the date of arrival in India . The application process for the e-tourist visa was not straightforward – read some tips here in my blog post FILLING IN THE INDIAN E-TOURIST E-VISA VISA . For either visa you will need to have at least 6 months left on your passport at the time of your arrival in India. There are many websites offering to secure an Indian Visa – they charge a fee on top of the visa fee – it is not necessary to use these services – the two websites on this page are the official websites – there are telephone numbers on both if you need more information. This information refers to tourist visas – if you are travelling on business you must apply for a different visa – details on vfsglobal website.